Fixed cone valves are used to regulate flow from dams and reservoirs. 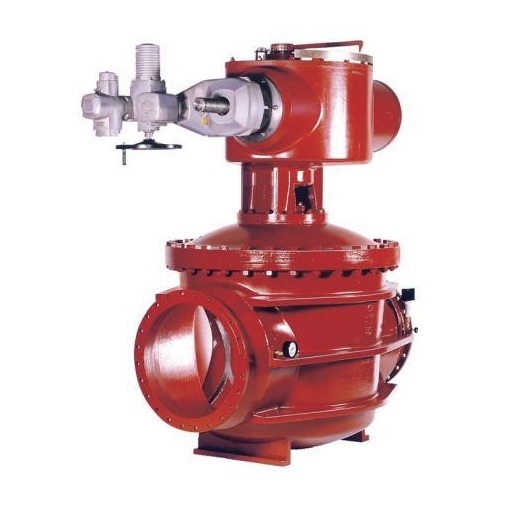 It is a free discharge valve that is commonly used as a turbine bypass valve, reservoir drain, or continuous discharge flow control valve. Model 117 has a fixed cone with contoured ribs that eliminate the vibration problems associated with other fixed cone designs. Flow is controlled by movement of an external stainless steel gate which has a drip tight metal-to-metal shut off against the Nitronic 60 seat. When discharging into the atmosphere, the jet spreads out in a wide cone angle and breaks up into a fine spray. If containment of the jet is desired, a hood can be installed which concentrates the flow. At the Scruggs company we can start up and repair Pratt products across the state of Texas. We keep spare parts on hand as well as new valves through 48″. Let us help you get up and running again.